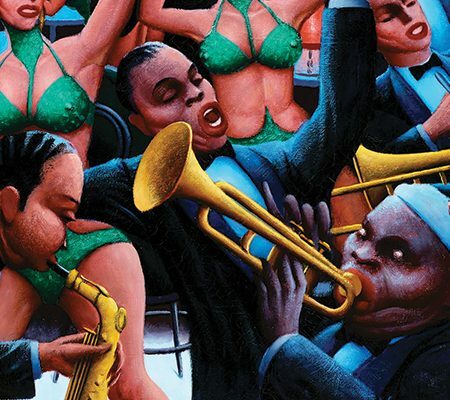 More than half a million people viewed Archibald Motley: Jazz Age Modernist, the groundbreaking exhibition that originated at the Nasher Museum and traveled to the Amon Carter Museum of American Art in Fort Worth, Texas; the Los Angeles County Museum of Art; the Chicago Cultural Center and the new Whitney Museum of American Art in New York. 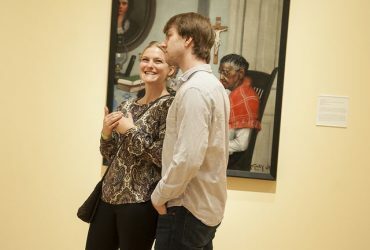 In New York, more than 500 Duke alumni took in the exhibition at a special event at the Whitney. 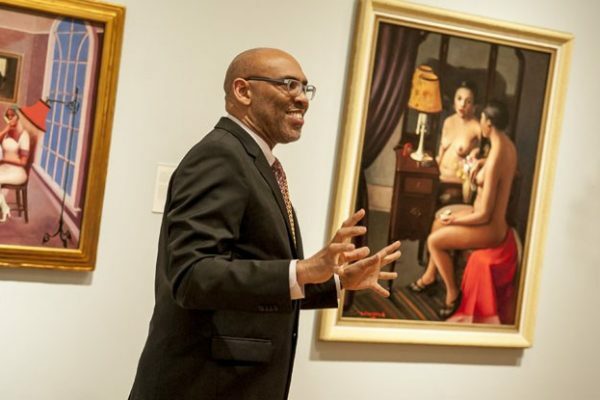 The exhibition was curated by Richard J. Powell, guest curator and John Spencer Bassett Professor of American, Afro-American and African Art and Art, Art History & Visual Studies at Duke. The previous fall, on October 22, 2013, the Archives of American Art presented Powell with the Lawrence A. Fleischman Award for Scholarly Excellence in the Field of American Art History. Archibald J. Motley Jr., The Octoroon Girl (detail), 1925. Oil on canvas, 38 x 30.25 inches (96.5 x 76.8 cm). Courtesy of Michael Rosenfeld Gallery, LLC, New York, New York. © Valerie Gerrard Browne. 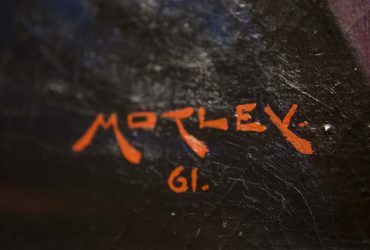 Motley was one of the most significant yet least visible 20th-century artists, despite the broad appeal of his paintings. Many of his most important portraits and cultural scenes remain in private collections; few museums have had the opportunity to acquire his work. 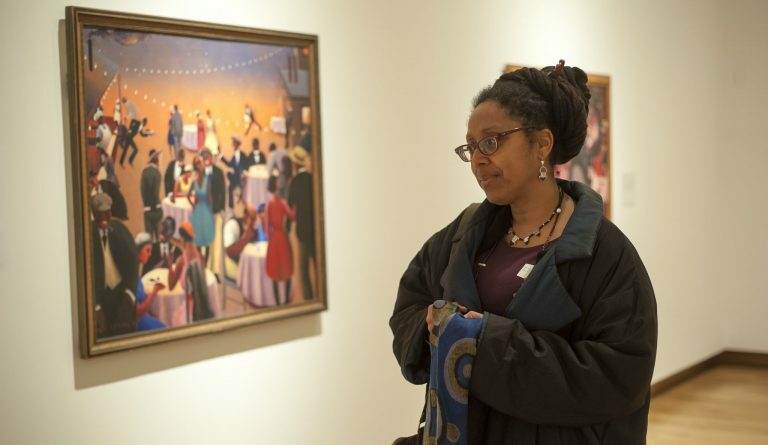 With a survey that spanned 40 years, Archibald Motley introduced the artist’s canvases of riotous color to wider audiences and revealed his continued impact on art history. 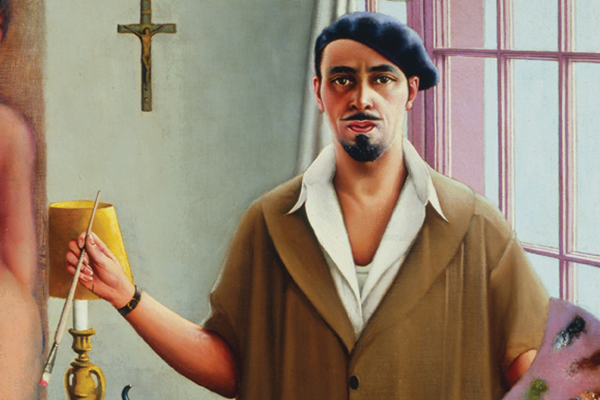 Archibald Motley included 42 works from each period of Motley’s lifelong career, from 1919 to 1960. Motley’s scenes of life in the African-American community, often in his native Chicago, depict a parallel universe of labor and leisure. His portraits are voyeuristic but also genealogical examinations of race, gender and sexuality. Motley does not shy away from folklore fantasies; he addresses slavery and racism head on. 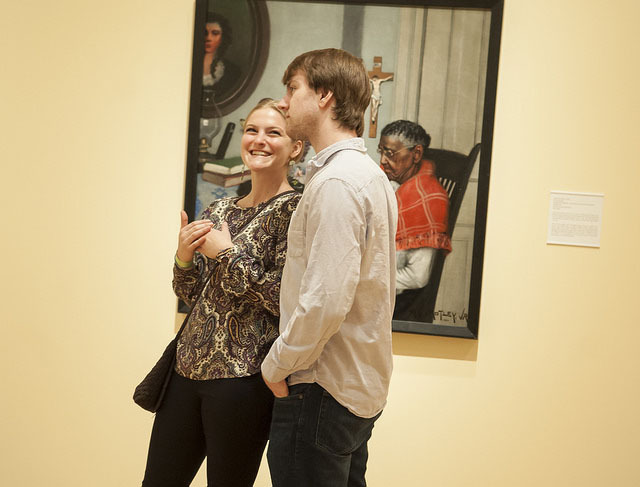 The exhibition also features his noteworthy canvases of Jazz Age Paris and 1950s Mexico. Significant works were presented together for the first time. 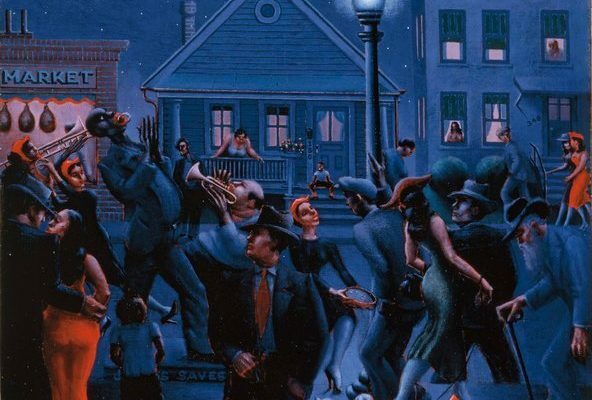 Archibald Motley was a master colorist and radical interpreter of urban culture. His work is as vibrant today as it was 70 years ago; with this groundbreaking exhibition, we are honored to introduce this important American artist to the general public and help Motley’s name enter the annals of art history. Archibald John Motley, Jr. (1891-1981), was born in New Orleans and lived and worked in the first half of the 20th century in a predominately white neighborhood on Chicago’s Southwest side, a few miles from the city’s growing black community known as “Bronzeville.” In his work, Motley intensely examines this community, carefully constructing scenes that depict Chicago’s African American elites, but also the worlds of the recently disembarked migrants from the South and other characters commonly overlooked. In 1929, Motley won a Guggenheim Fellowship that funded a year of study in France. 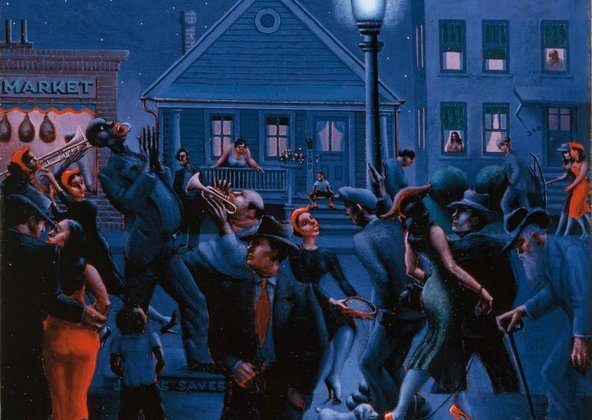 His 1929 work Blues, a colorful, rhythm-inflected painting of Jazz Age Paris, has long provided a canonical picture of African American cultural expression during this period. 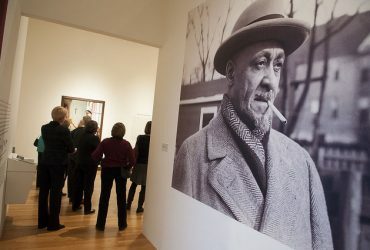 Several other memorable canvases vividly capture the pulse and tempo of “la vie bohème.” Similar in spirit to his Chicago paintings, these Parisian canvases extended the geographical boundaries of the Harlem Renaissance, depicting an African diaspora in Montparnasse’s meandering streets and congested cabarets. In the 1950s, Motley made several lengthy visits to Mexico, where he created vivid depictions of life and landscapes. He died in Chicago in 1981. 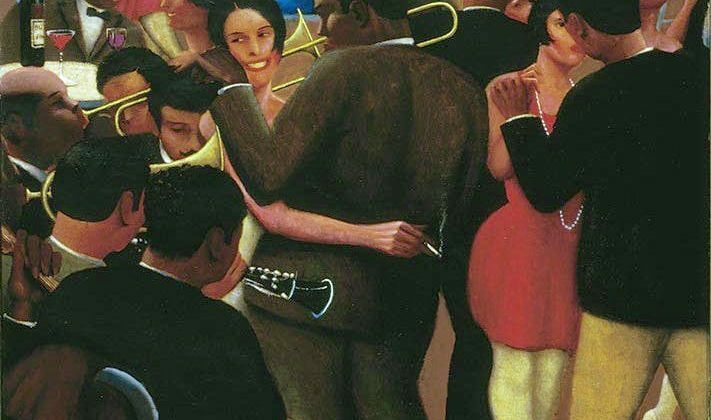 Peruse the archived exhibition website that was used while the Archibald Motley: Jazz Age Modernist exhibition was on view at the Nasher Museum and traveling the country. 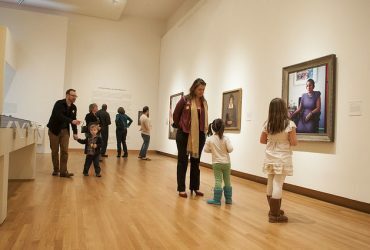 In January 2017, three years after the exhibition opened at Duke, an important painting by American modernist Archibald Motley was donated to the Nasher Museum. Motley was 70 years old when he painted the oil on canvas, Hot Rhythm, in 1961. Hot Rhythm explores one of Motley’s favorite subjects, the jazz age. 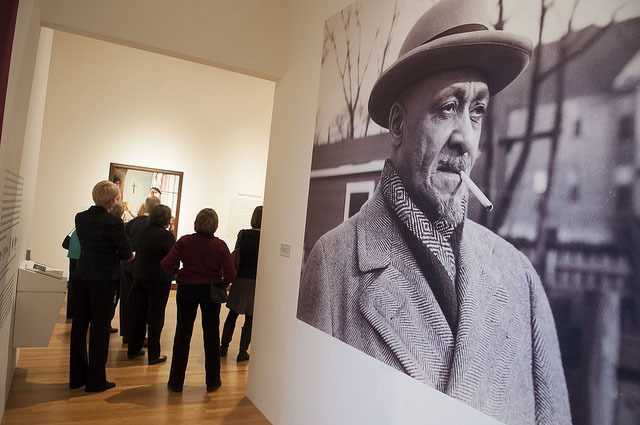 The artist loved to walk the streets of Bronzeville, a once-thriving neighborhood in Chicago’s South Side, where he would gather characters and group scenes – cabarets, street festivals and clubs informed by African American music and culture – for his paintings. The gift came from two of the artist’s heirs, Dr. Mara Motley and Valerie Gerrard Brownein honor of Professor Richard J. Powell and C.T. Woods-Powell and in memory of Archie Motley. 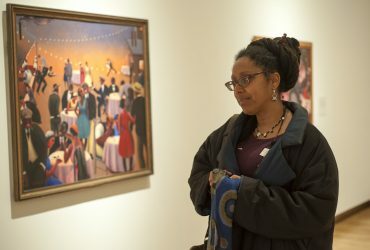 A visitor is deeply engrossed in Archibald Motley: Jazz Age Modernist. Photo by J Caldwell. 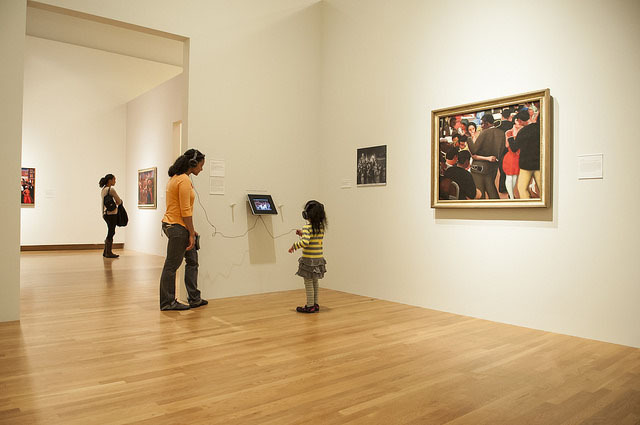 Visitors listen to an audio component of the exhibition. Photo by J Caldwell. The exhibition was complemented by free programs and events, including an opening talk; student-organized Speakeasy event; film screenings; Family Day events; book discussions; sketching in the gallery; teacher workshops and more. 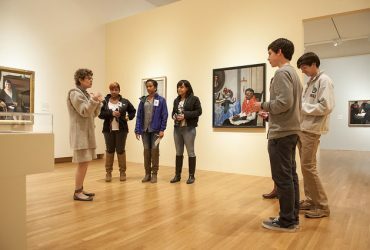 The Nasher Museum held a daylong symposium related to the exhibition with scholars who contributed essays to the catalogue. 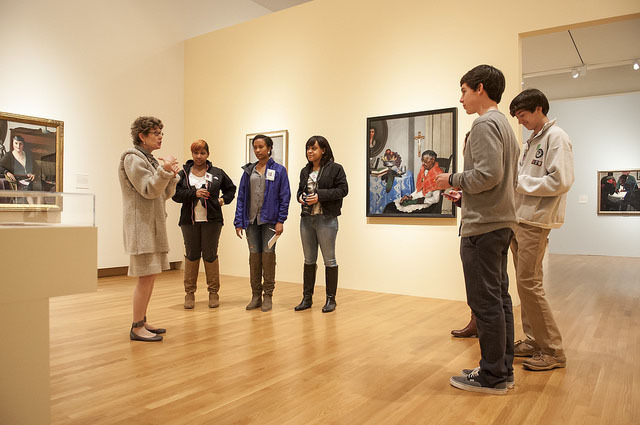 In the spring 2014 term, curator Powell taught a course at Duke focused on the exhibition. 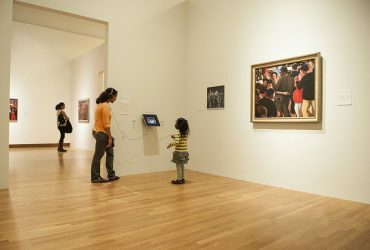 This 17-minute audio guide features the voices of Nasher Museum Director Sarah Schroth, exhibition curator Richard J. Powell, Nasher Museum curators, scholar Amy Mooney and also Valerie Gerrard Browne, who is the daughter-in-law of Archibald Motley. 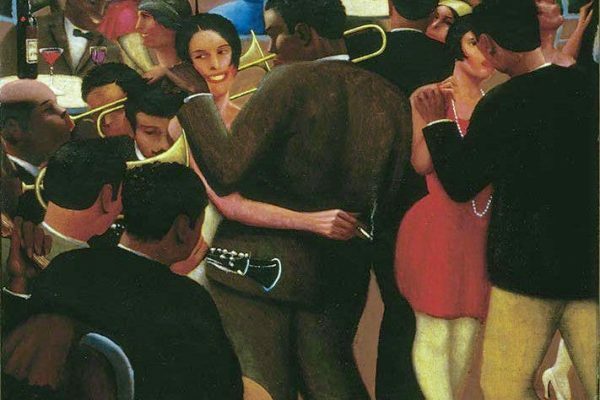 Archibald Motley: Jazz Age Modernist was made possible by the Terra Foundation for American Art; the National Endowment for the Humanities: Exploring the human endeavor; and the Henry Luce Foundation. 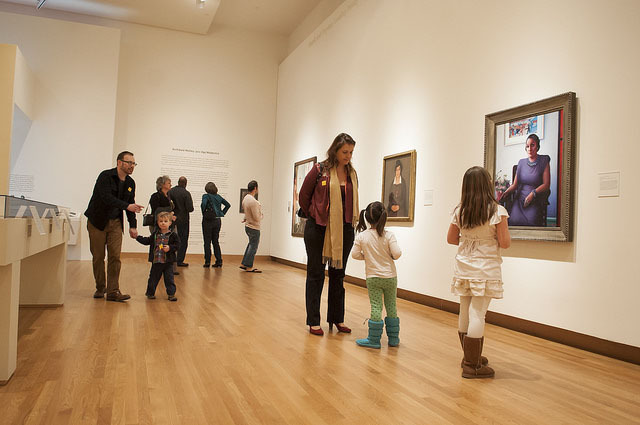 Major support was provided by the Wyeth Foundation for American Art; Drs. Victor and Lenore Behar; the North Carolina Arts Council, a division of the Department of Cultural Resources; and Deborah DeMott. Additional generous support was provided by Graduate Liberal Studies at Duke University, the Mary Duke Biddle Foundation, Erickson Advisors, Parker and Otis, Lisa Lowenthal Pruzan and Jonathan Pruzan, Richard Tigner, Gail Belvett, the Cynthia and George Mitchell Foundation, Mindy and Guy Solie, The Chronicle, C.T. Woods-Powell and Richard J. Powell, and Angela O. Terry. 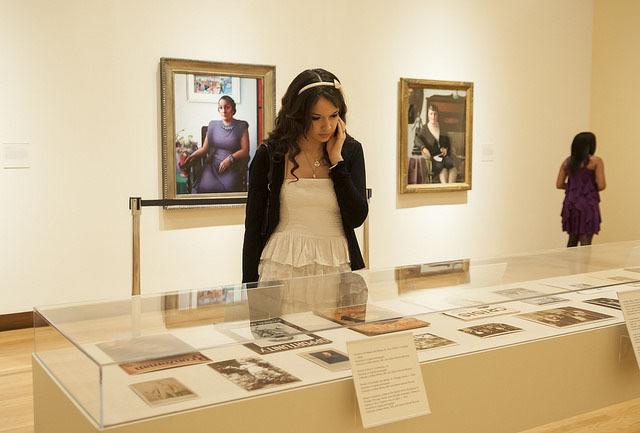 This project was made possible in part by funding from the North Carolina Humanities Council, a statewide nonprofit and affiliate of the National Endowment for the Humanities.